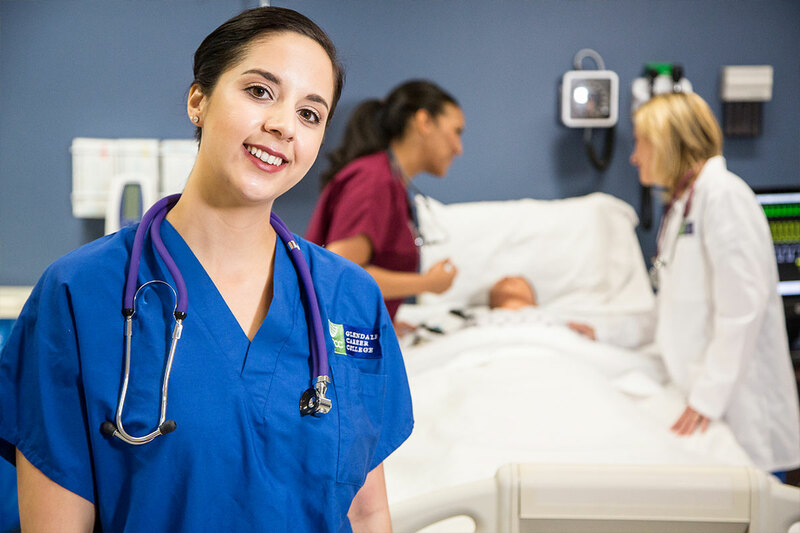 The Associate of Art in Nursing Program provides students with the opportunity to develop the knowledge and skills necessary to function as a Registered Nurse in a variety of settings. The student will receive classroom, laboratory, and clinical instruction in nursing areas of fundamentals, anatomy and physiology, pharmacology, medical/surgical nursing, mental health, obstetrics, and pediatric nursing. After successful completion of the program, the student is required to take the NCLEX-RN examination for licensure as a Registered Nurse. 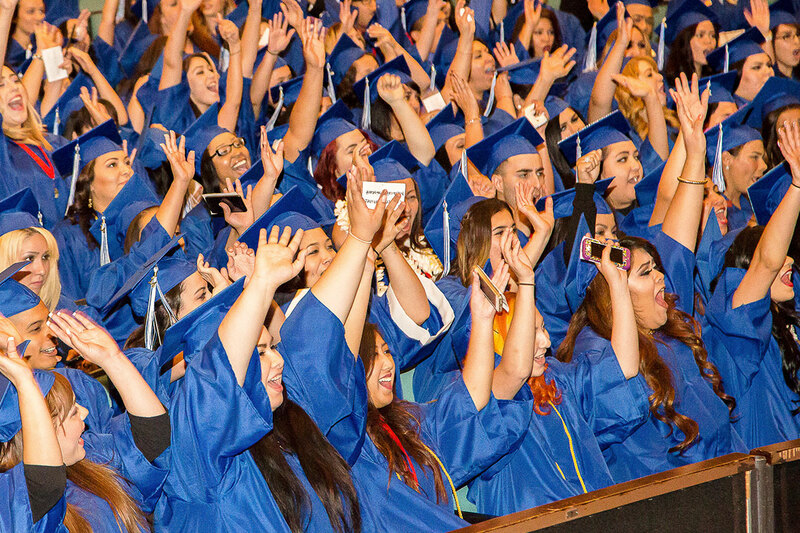 Graduates of the Associate of Art in Nursing Program may be employed as a Registered Nurse upon application to the State Board of Nursing and successfully passing the NCLEX-RN examination. This person may serve patients and clients in many settings including hospitals, clinics, doctor’s offices, extended-care facilities, and other medical facilities. Anatomy – A study of the microscopic and macroscopic structures of the human body. Emphasis on cell structures, integumentary, skeletal, muscular, respiratory, cardiovascular, nervous, digestive, urinary, endocrine, and reproductive systems of the body including disorders of these structures and respective pathologies. Laboratory activities as related to body systems/parts. Outside preparation and study time, in addition to regular classroom activities, is required to complete the class assignments. The type of outside preparation may take the form of homework assignments, projects, reading, and required studying. Anatomy Laboratory – A laboratory investigation of both the microscopic and macroscopic structures of the human body. Emphasis on cell structures, integumentary, skeletal, muscular, respiratory, cardiovascular, nervous, digestive, urinary, endocrine, and reproductive systems of the body including disorders of these structures and respective pathologies. Laboratory activities will also incorporate dissection studies of the fetal pig related to analogous body systems/parts. Outside preparation and study time, in addition to regular classroom activities, is required to complete the class assignments. The type of outside preparation may take the form of homework assignments, projects, reading, and required studying. Human Physiology – The study of the dynamic nature of life processes in the human body including cell physiology and functions and inter-relations of the organ systems. Laboratory experience utilizing experimentation and scientific reasoning is an integral part of the course. Outside preparation and study time, in addition to regular classroom activities, is required to complete the class assignments. The type of outside preparation may take the form of homework assignments, projects, reading, and required studying. Human Physiology Laboratory – The study of the dynamic nature of life processes in the human body including cell physiology and functions and inter-relations of the organ systems. Laboratory experience in utilizing experimentation and scientific reasoning is an integral part of the course. This is the lab complement to the Human Physiology lecture course. Outside preparation and study time, in addition to regular classroom activities, is required to complete the class assignments. The type of outside preparation may take the form of homework assignments, projects, reading, and required studying. Microbiology – This course is designed as an introduction to microbiology, genetics, taxonomy, metabolism, controlling microbes, and immunology. Laboratory experience in order: staining, culturing, analysis and classification of microorganisms. Outside preparation and study time, in addition to regular classroom activities, is required to complete the class assignments. The type of outside preparation may take the form of homework assignments, projects, reading, and required studying. Microbiology Laboratory – This course is designed as an introduction to Microbiology, pathogenicity, microbial morphology, genetics, taxonomy, metabolism, controlling microbes and immunology. Laboratory experience in order: staining, culturing, analysis and classification of microorganisms. Outside preparation and study time, in addition to regular classroom activities, is required to complete the class assignments. The type of outside preparation may take the form of homework assignments, projects, reading, and required studying. English – The main purpose of English 101 is to introduce the college student to the conventions of academic writing and critical thinking. In this course you will analyze and write about selected readings assigned to you. It is an objective of this course that you learn to compose an effective essay. Upon completion of this course you will have gained the skills necessary to express your ideas in written form in a clear, concise, articulate, and grammatically correct manner. Outside preparation and study time, in addition to regular classroom activities, is required to complete the class assignments. The type of outside preparation may take the form of homework assignments, projects, reading, and required studying. General Psychology – Survey of introductory topics such as learning, memory, sensation and perception, personality, life-span development, physiological basis of human behavior which includes: human sexuality, personality, stress and coping, relationships, psychological disorders and psychotherapeutic as well as pharmacotherapeutic interventions. Additional topics such as stress and health, psychological disorders, social psychology, and research methods may also be addressed. Outside preparation and study time, in addition to regular classroom activities, is required to complete the class assignments. The type of outside preparation may take the form of homework assignments, projects, reading, and required studying. Oral Communications – This course enables the student to understand the ways that communication affects and relates to everyday experiences. COM101 is a fundamentals course that introduces the principles of effectively preparing, presenting, and critically consuming messages in nonverbal, one-on-one, small group, workplace, and public speaking contexts. Outside preparation and study time, in addition to regular classroom activities, is required to complete the class assignments. The type of outside preparation may take the form of homework assignments, projects, reading, and required studying. Sociology – This course provides an introduction to sociology, “the systematic study of the relationship between individuals and society” (Croteau and Hoynes, p.5). The students will become familiar with sociology as an academic discipline. This course is a study of human relationships as they apply to social institutions and culture. The analysis of human behavior and needs as relate to the development of social organized groups is emphasized. Outside preparation and study time, in addition to regular classroom activities, is required to complete the class assignments. The type of outside preparation may take the form of homework assignments, projects, reading, and required studying. Growth and Development – A survey of the physical, cognitive, emotional, and social factors in human development from conception to death. There will be an emphasis on understanding people at various ages of development in order to be more patient with them and to interact with them more effectively. This course will help the student develop a better understanding of people who are at a different stage in life than the one they are currently in. Outside preparation and study time, in addition to regular classroom activities, is required to complete the class assignments. The type of outside preparation may take the form of homework assignments, projects, reading, and required studying. Fundamentals of Nursing Care – An introduction to the basic concepts of nursing: Nursing process, critical thinking, nursing theory, and patient-centered care. Concepts of pharmacology, nutrition, the healthcare team, and basic nursing interventions skills are introduced. Other topics presented are views of health and different healthcare team members. Outside preparation and study time, in addition to regular classroom activities, is required to complete the class assignments. The type of outside preparation may take the form of homework assignments, projects, reading, and required studying. Introduction to Medical Surgical Nursing – The introductory medical surgical course delivers general assessment and alternations of health of various chronic disorders and their nursing management. Concepts of genetics, cancer, rehabilitation and perioperative care are also covered. The clinical experience will focus on providing basic patient care applying theoretical knowledge, analysis of medical management, and the nursing management of the hospitalized adult as a member of the healthcare team. Outside preparation and study time, in addition to regular classroom activities, is required to complete the class assignments. The type of outside preparation may take the form of homework assignments, projects, reading, and required studying. Pediatric Nursing Care – This course introduces the student to the nursing care of the pediatric patient and their families. Concepts of growth and development, anticipatory guidance, health promotion and prevention are presented. Nursing care for children with chronic illness, acute illness, pain management, and life threating conditions are also discussed. Outside preparation and study time, in addition to regular classroom activities, is required to complete the class assignments. The type of outside preparation may take the form of homework assignments, projects, reading, and required studying. Obstetrical Nursing Care – This course focuses on the nursing care of women from young adulthood to the older adult stage. Concepts of health promotion prevention, common health concerns and reproductive health for women is presented. Theories and perceptions of parenthood, pregnancy, delivery, and postpartum care are also discussed. Outside preparation and study time, in addition to regular classroom activities, is required to complete the class assignments. The type of outside preparation may take the form of homework assignments, projects, reading, and required studying. Mental Health Nursing Care – This course provides students with nursing management for mental and psychiatric disorders and the corresponding nursing management. Standards of care and safety are discussed. Different intervention modalities are also presented. The student is also given ways to care for self. Outside preparation and study time, in addition to regular classroom activities, is required to complete the class assignments. The type of outside preparation may take the form of homework assignments, projects, reading, and required studying. 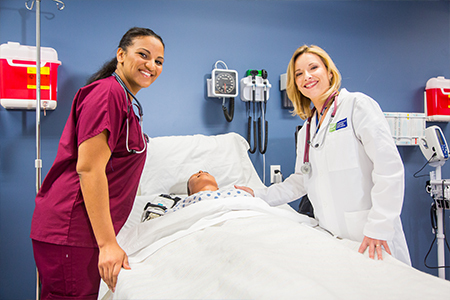 Advanced Medical Surgical Nursing – Advanced medical surgical nursing care provides students with a focus on critically ill and emergency patients; and different levels of floor nursing experiences. Patients with common critical illness and emergency presentations give students an opportunity to use prior nursing education for complex health assessment and setting priorities. Community base care is introduced in management of communicable disease, terrorism, mass causality, and disaster nursing. Outside preparation and study time, in addition to regular classroom activities, is required to complete the class assignments. The type of outside preparation may take the form of homework assignments, projects, reading, and required studying. 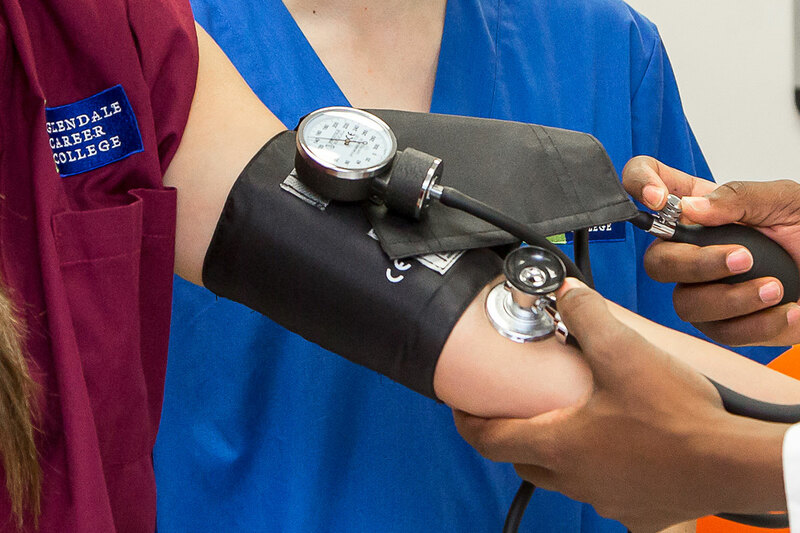 Transition to Registered Nursing – Provides content related to moving into the role of professional nursing practice using knowledge acquisition from student education and experiences. Leadership methods, prioritization and delegation are explored. Information about obtaining a license and preparing for the role of professional nursing is discussed. Outside preparation and study time, in addition to regular classroom activities, is required to complete the class assignments. The type of outside preparation may take the form of homework assignments, projects, reading, and required studying. Intermediate Nursing Care – The intermediate medical surgical course focuses on the care of the older adult. The student develops skills to care for patients with many health, cultural, spiritual, and psychosocial needs. Alterations in health focuses on a variety of typical disorders of the older adult. Concepts of rehabilitation and perioperative care are also covered. The clinical experience will focus on providing basic patient care applying theoretical knowledge, analysis of medical management, and the nursing management of the hospitalized adult with chronic illness and working with the healthcare team. Outside preparation and study time, in addition to regular classroom activities, is required to complete the class assignments. The type of outside preparation may take the form of homework assignments, projects, reading, and required studying. Pharmacological Nursing Care – Pharmacological concepts important to nursing practice are discussed. Topics include general pharmacology concepts; safety of medication administration and risk reduction; types of mediations by system; pain management; life span considerations; herbals and supplements. Other topic includes cultural aspects of medication and patient adherence strategies. Outside preparation and study time, in addition to regular classroom activities, is required to complete the class assignments. The type of outside preparation may take the form of homework assignments, projects, reading, and required studying. NCLEX Review – Preparation for the NCLEX-RN exam is the focus of this course. A self-assessment of knowledge and personalized plan is designed to concentrate the student’s efforts in preparing for state boards. Outside preparation and study time, in addition to regular classroom activities, is required to complete the class assignments. The type of outside preparation may take the form of homework assignments, projects, reading, and required studying.